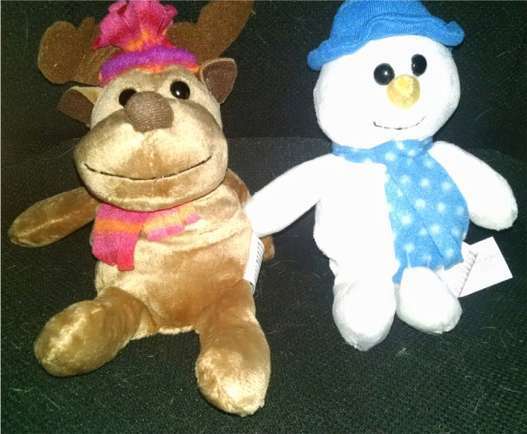 5" tall personalized holiday stuffies...customized with a child's name, a snowflake tattoo for the boys or a hair bow for the girls, and the year on the foot. $5.00 each. 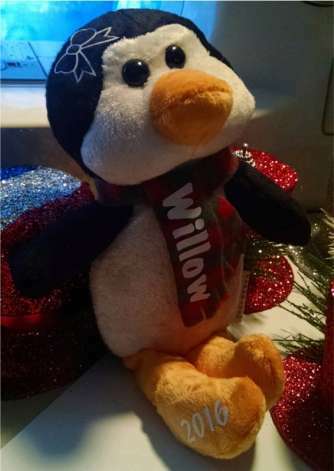 This is last year's stuffie. 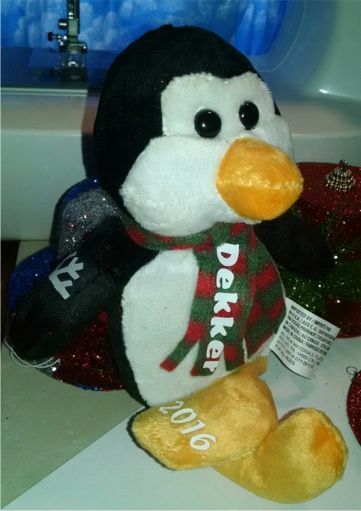 I have different ones coming this year. 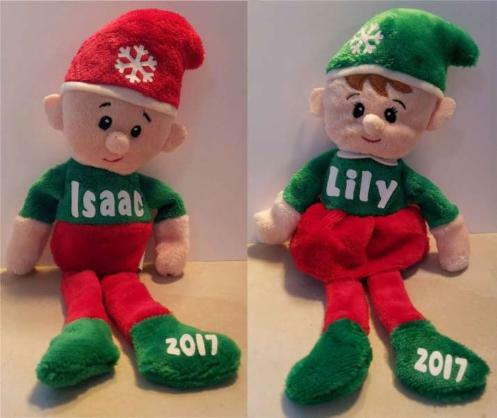 9" tall Boy or girl plush elves...customized with a child's name, or the elf's name where the words Merry Christmas are. $5.00 each. I also have a slightly larger elf that I need to get pictures of to put here. Those will be $5 as well.